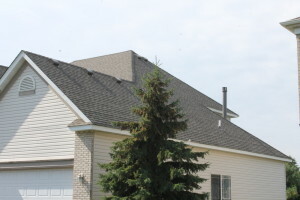 Look to local St. Croix Valley Residential Roofing experts, J.G. Hause Construction, for your next exterior remodeling needs. Whether you are building a new home or updating your current home, your roof is crucial to the protection and structural integrity of your home, not to mention your investment. Regardless of which roofing system you choose, the most important factor to be considered when roofing or re-roofing your home is the contractor you choose to install it. J.G. Hause has a proven track record when it comes to quality roof installations. We are equipped with thirty years of experience and advanced knowledge of proper construction methods and product installation processes necessary to ensure both the structural integrity and the lasting value of your properties. If you are looking for a roofing contractor in the Twin Cities metropolitan area or Western Wisconsin Give J.G. Hause Construction a call for free advice and get a professional roofing opinion from your local expert residential roofing specialists without any obligation. Call 651-439-0189 or fill out the form on this page to get started.